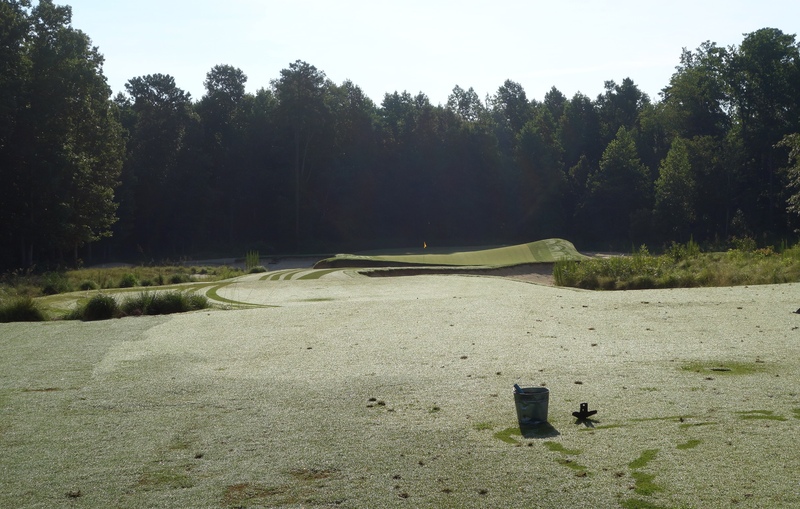 The opinions above were a selection of many sent to me the morning of my round at Tobacco Road. I don’t need to state the obvious, but it is the most divisive course that I have ever played. 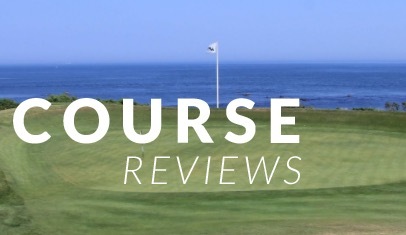 Let me know what you think of the course in the comments after reading the review! 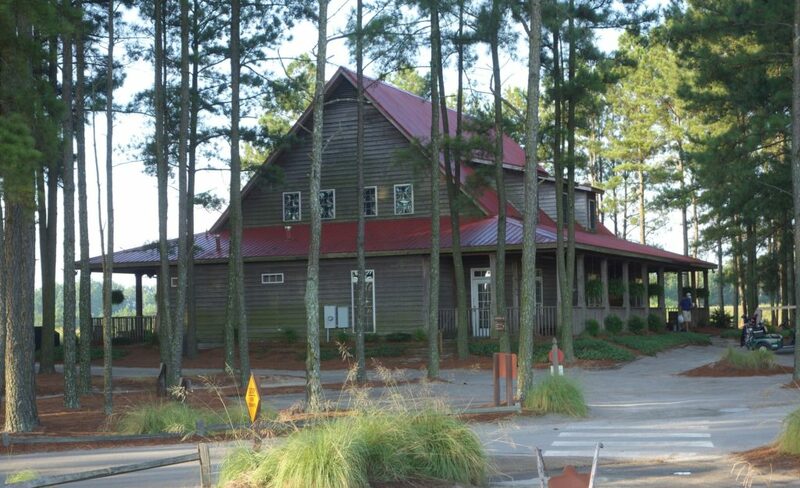 Growing up in North Carolina, I spent a lot of time in the Pinehurst area for various junior tournaments and events. 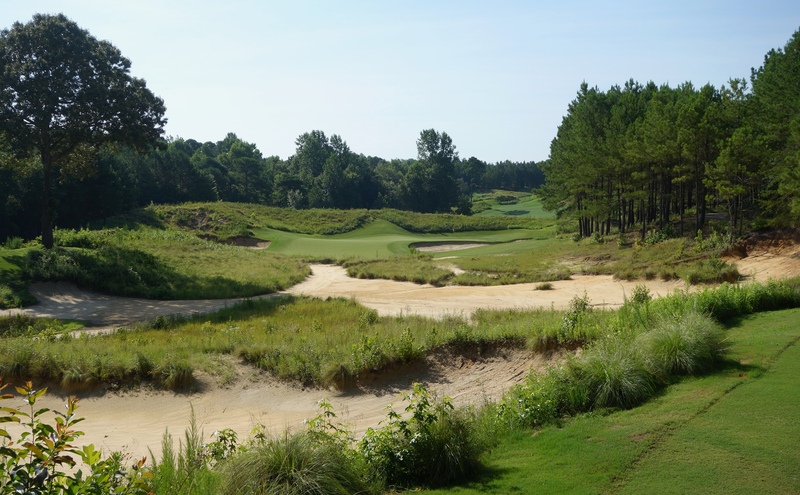 Despite all of those trips, I never made the 30-minute journey north from Pinehurst to Tobacco Road even with the urging of many friends and website readers. I finally made the trip this July with three of my golf buddies from Asheville, NC, and it turned out to be a great weekend. Where do I fall on the varied spectrum of opinions on Tobacco Road? I really enjoyed it. I liked nearly every hole on the course, but I found the blindness to detract at a number of points, specifically the 13th and 15th holes. 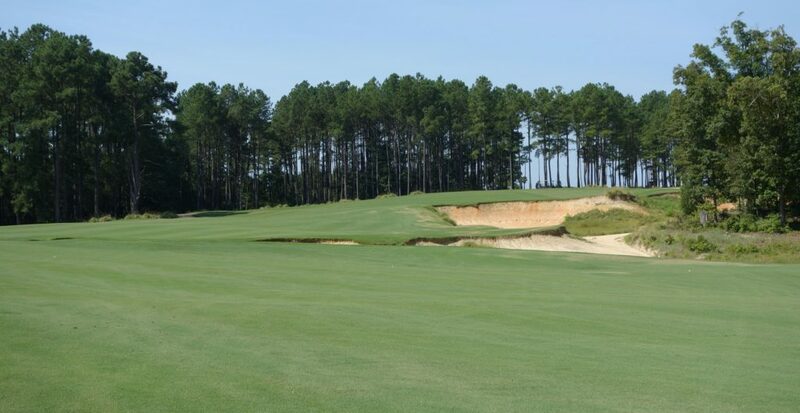 To give you an idea of the blindness on the course, the starter strongly suggests that you download the Tobacco Road app on the first tee that includes, among many other things, a yardage book and flyovers of each hole that help greatly with understanding the blind shots. Do the blind shots make me never want to go back? No! Actually, the exact opposite. I want to play the course again now that I have a better understanding of those blind shots. They would move from negatives to positives as I got to know the course better. That being said, I was angry during the round when I lost two balls after really solid shots directly at my (wrong) targets. That being said, I loved that the course was totally unlike anywhere else I’ve played. Course architect Mike Strantz packed the course full of character. His raw and individual style carries through nearly all of his designs and it is a shame that he passed away before he could have a full life and career. The design is contrived in the best of ways, and it reminded me of the Creek Club at Reynolds Lake Oconee in that respect. 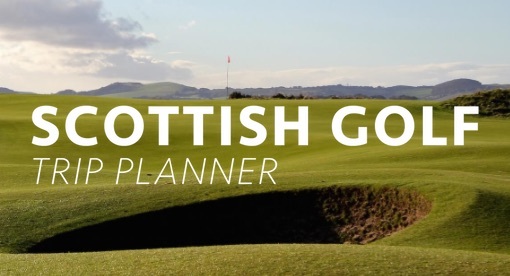 Both courses are unashamedly non-traditional, and I guarantee you’ll remember both much clearer than the run-of-the-mill courses you’ve played. On a different note, I want to give you guys a heads up about the deal we had when playing the course. 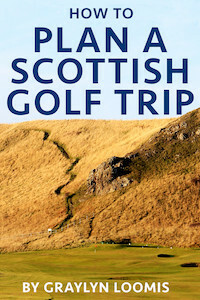 We booked this trip through Tobacco Road Golf Travel. 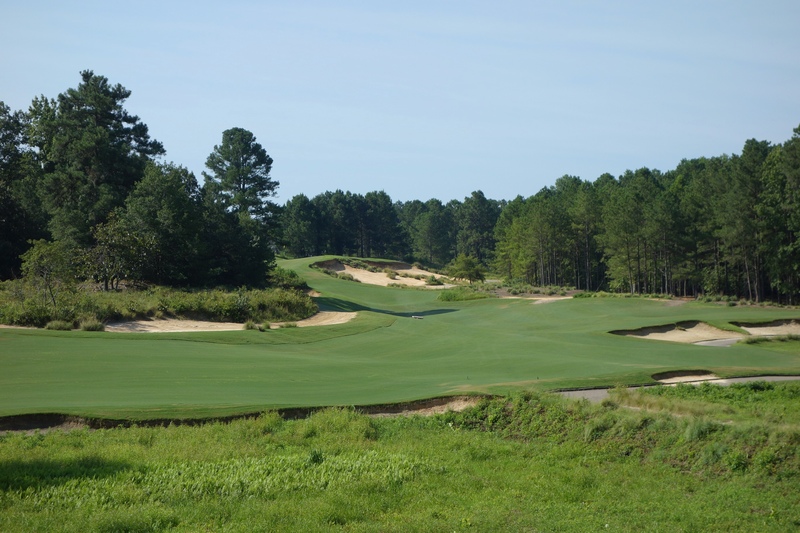 We played Dormie Club, Tobacco Road, and Pinewild (Magnolia Course), with two nights in a Holiday Inn Express, for $280 (admittedly in hot July). Despite the time of year, it was such a steal and I wholeheartedly recommend it! Note that I have nothing to do with the company. 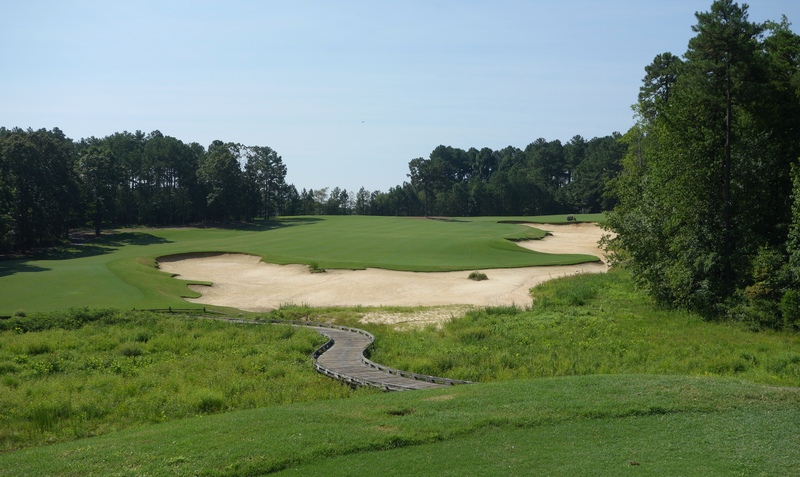 Hole #1 – 547 yards – The first hole jumps into the deep end of Tobacco Road. The two hills on either side of the fairway are like rifle sights for your tee shot. The starter stays on the right hillside to spot drives. 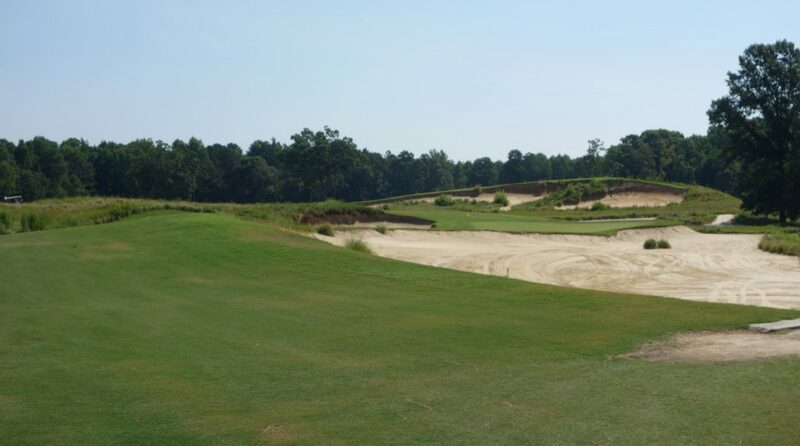 The second shot is also blind, followed by an approach shot obscured by a massive front right bunker. Welcome to Tobacco Road! 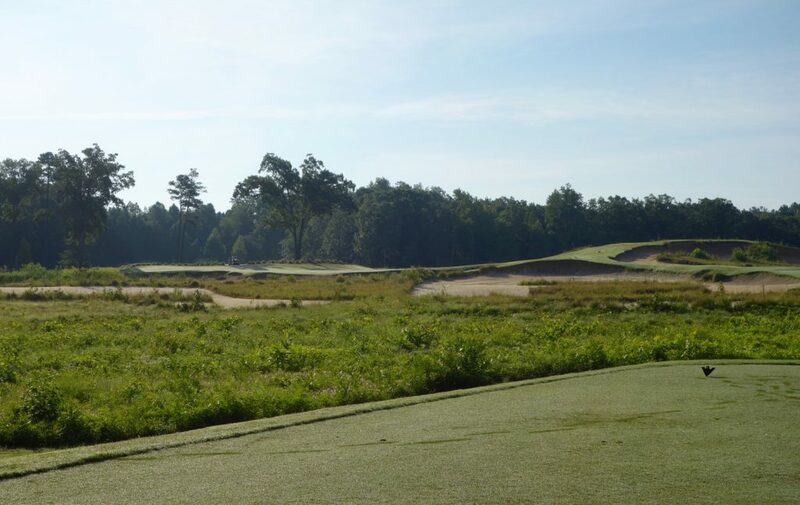 Hole #2 – 377 yards – A long iron or hybrid is all you need off this tee. The fairway is larger than it appears, leaving a range of approach shot options into the sloping green. 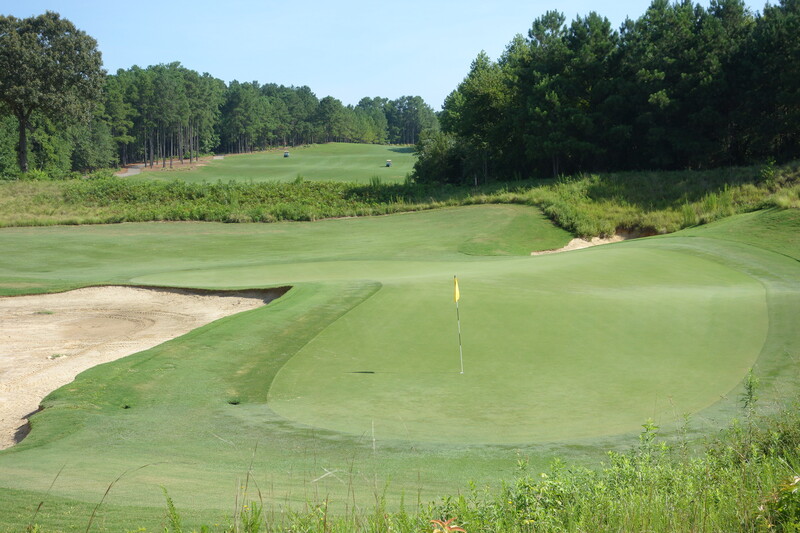 Hole #3 – 147 yards – The pin position on this hole determines its difficulty. The green is very long and is divided by a ridge running from left to right (in addition to many other large slopes). The front pin seen below sits at the bottom of a bowl, and all four players in our group ended up within 10 feet. Who doesn’t enjoy that? 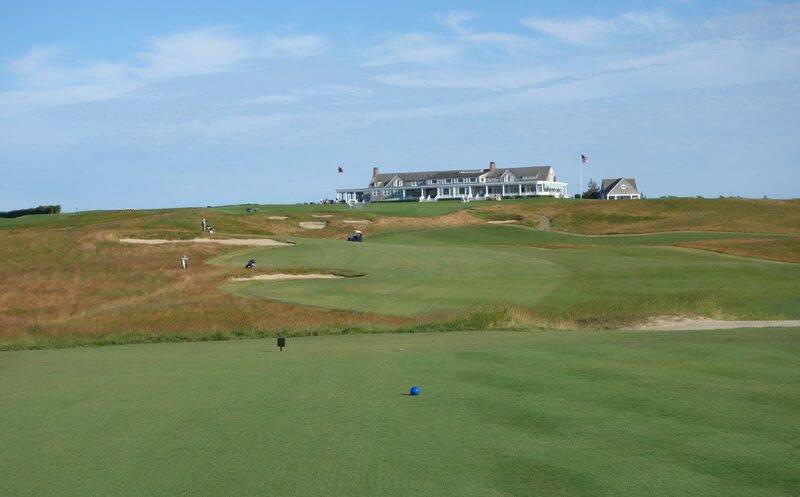 Hole #4 – 507 yards – While the distance on the ground may be 500+ yards, bigger hitters can cut the corner over the waste area to reach this par 5 green in two. 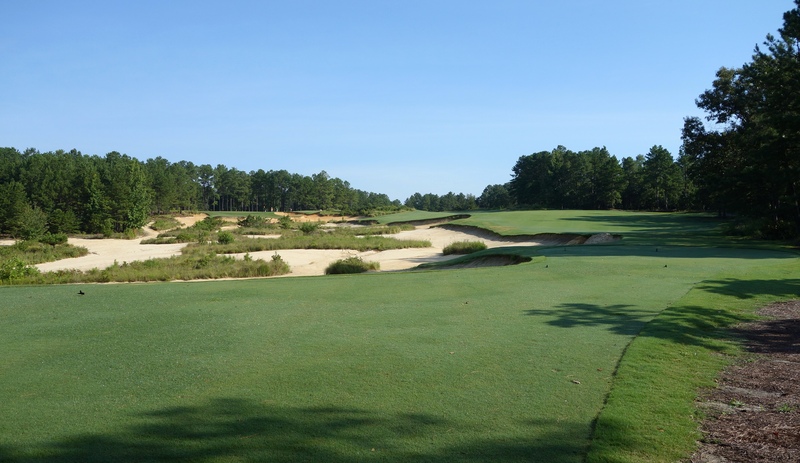 Hole #5 – 322 yards – Another sweeping dogleg left, this hole is also shorter if you cut across the large waste area. 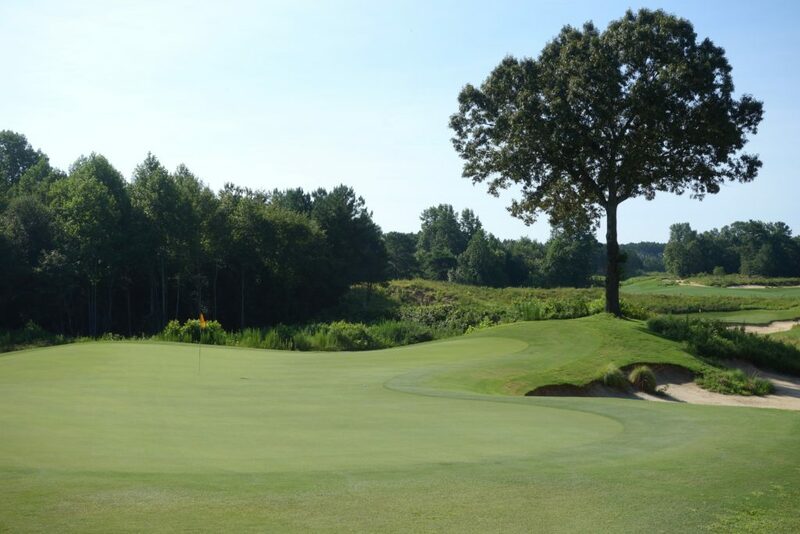 The carry was about 270 yards directly at the green, seen beneath the trees on the left half of the photo below. 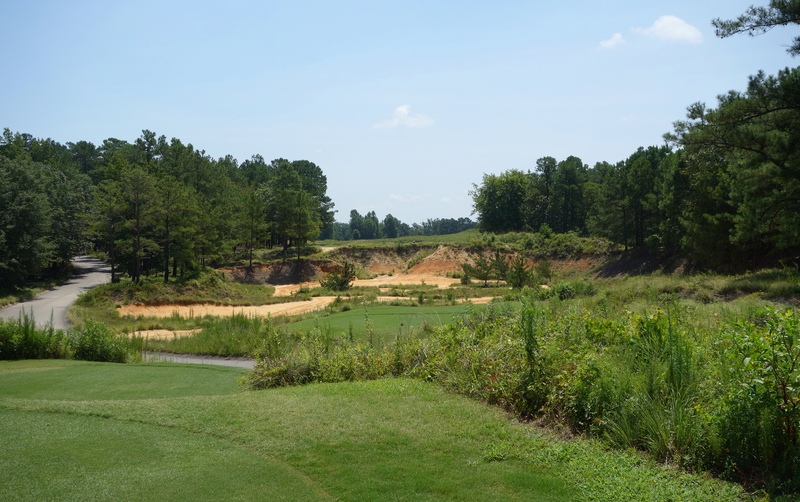 Hole #6 – 143 yards – I have never seen a wider variety of tee boxes on a par 3. This hole could be 180+ yards of carry over waste area, or it could be the 140-yard shot you see below. 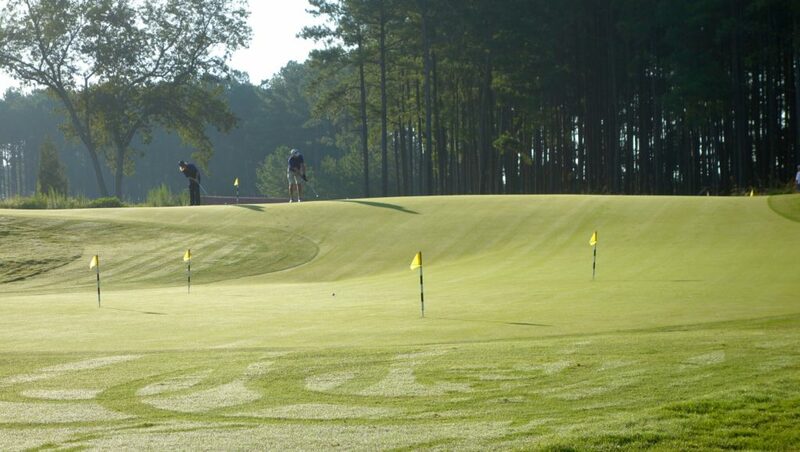 The green is long, thin, and slopes feed the ball back to the center of the putting surface. Hole #7 – 401 yards – Encountering another blind tee shot here, you don’t need to hit a driver into this downhill fairway. Distance control is crucial on this approach shot due to a vicious false front and a quick drop into an evil bunker through the back of the green. 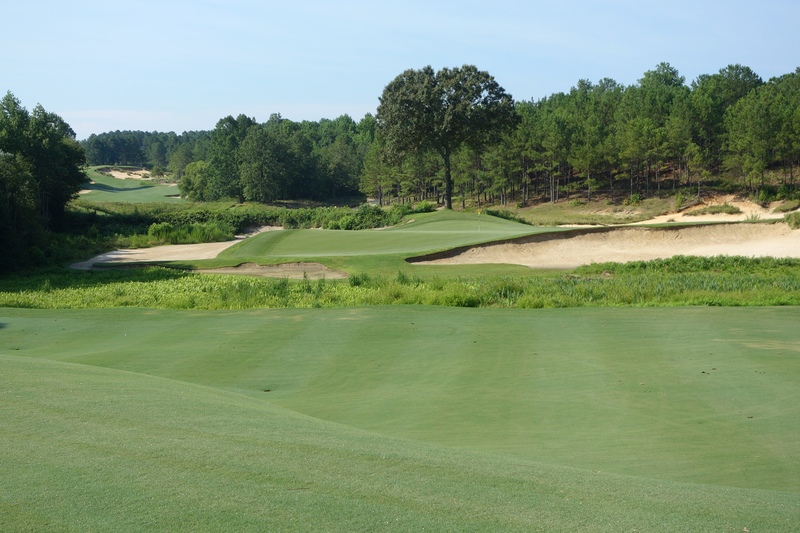 Hole #8 – 173 yards – Overall hole length can vary greatly on this long, thin, and curving green. The back right pin seen below sits in a bowl, meaning players brave enough to carry the trouble get rewarded with a short birdie putt. Hole #9 – 415 yards – The final hole on the front is a sweeping dogleg left to a green on top of a hill. The fairway is wide, but the green is very narrow and long (see a theme?). 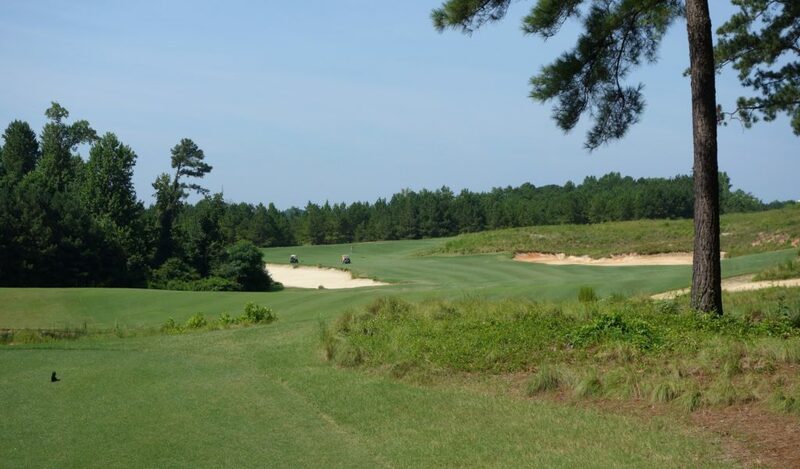 Hole #10 – 421 yards – The 10th tee shot is intimidating, but the fairway is larger and more receptive than it appears. The approach is obscured by the lip of a waste area that runs the length of the hole. 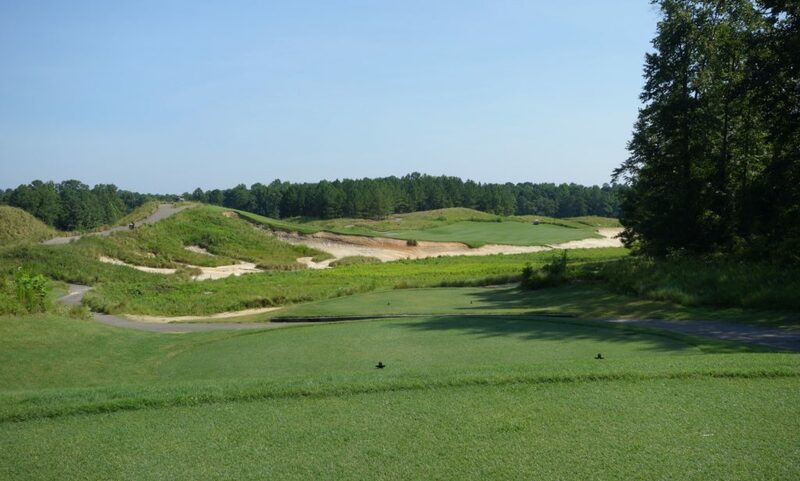 Hole #11 – 511 yards – This is a 90-degree dogleg right with a quarry-sized bunker that creates a forced carry to the green. In order to reach the green in two, drives must be long enough to see around the corner. In the second photo below, the pin is not visible on the far right side of the green. 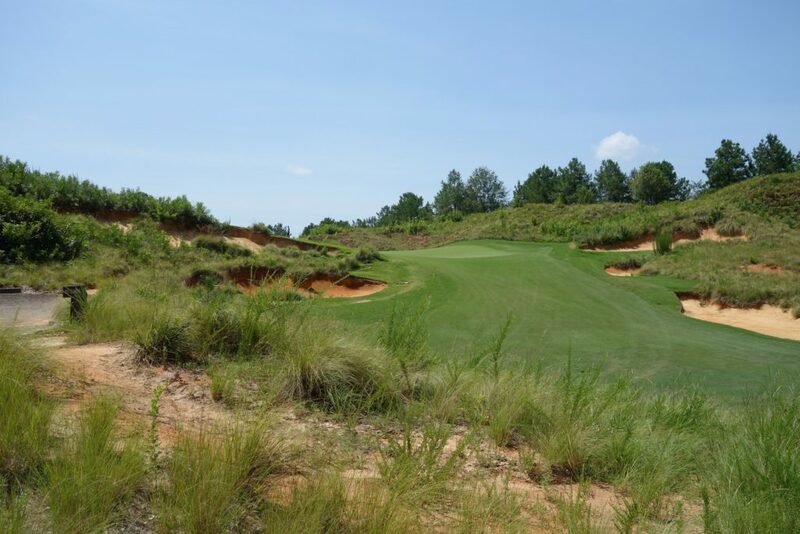 Hole #12 – 412 yards – Don’t hit driver on this sharp dogleg left! I hit a great drive right through the fairway into the shrubs. 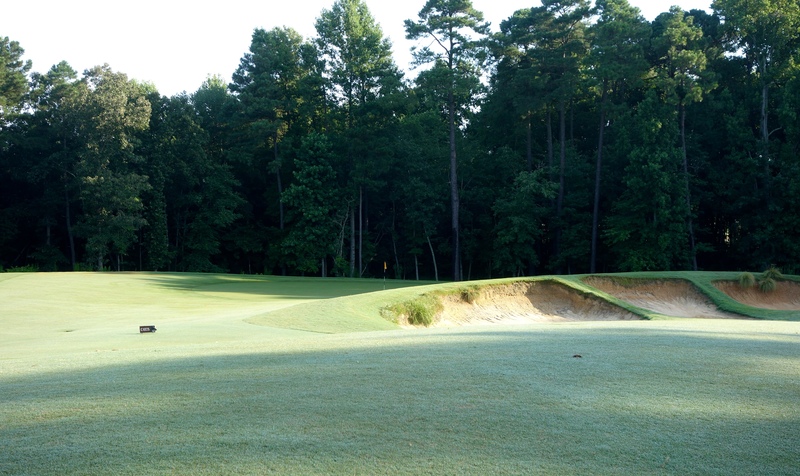 A hybrid is all you need to leave a straightforward approach into a green that slopes severely away from players. 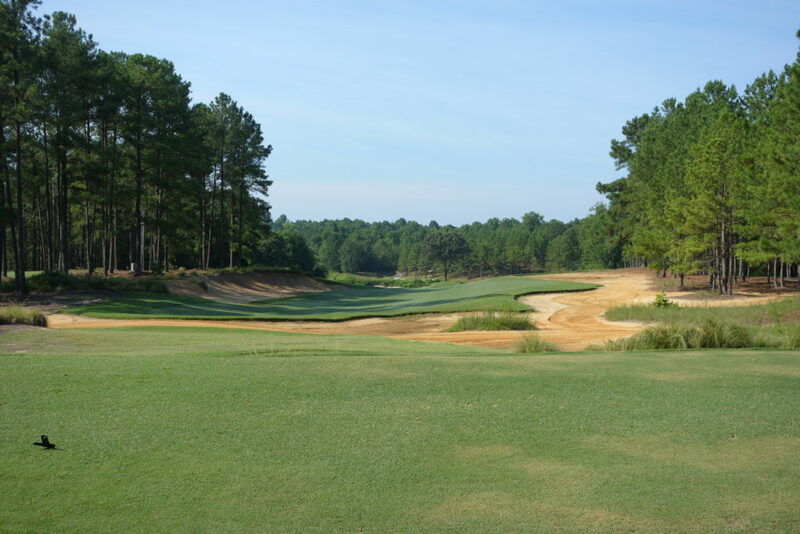 Hole #14 – 178 yards – Pin position dictates how difficult this hole will be. Put the pin back right and you’ve got a tall task to put an approach shot close! 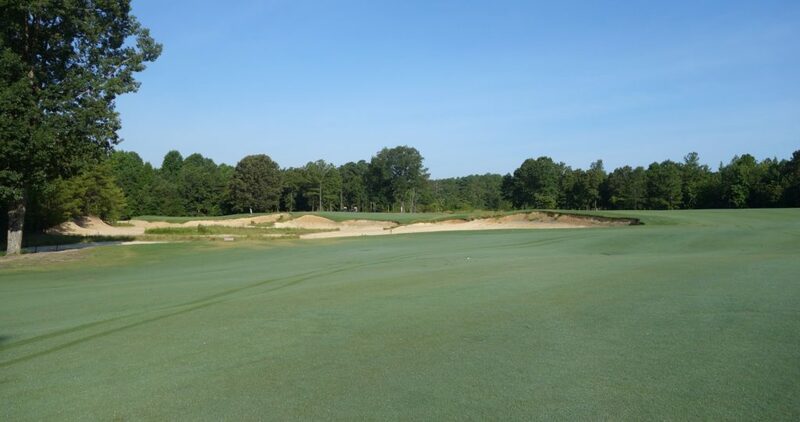 Hole #15 – 358 yards – After hitting a semi-blind shot into this fairway, it is a totally blind shot into this green. It is another point in the round where I didn’t take out the camera. We spent a fair amount of time looking for one player’s ball, and were rushed with our approach shots. In addition to not seeing the green, we had no idea where the pin was. 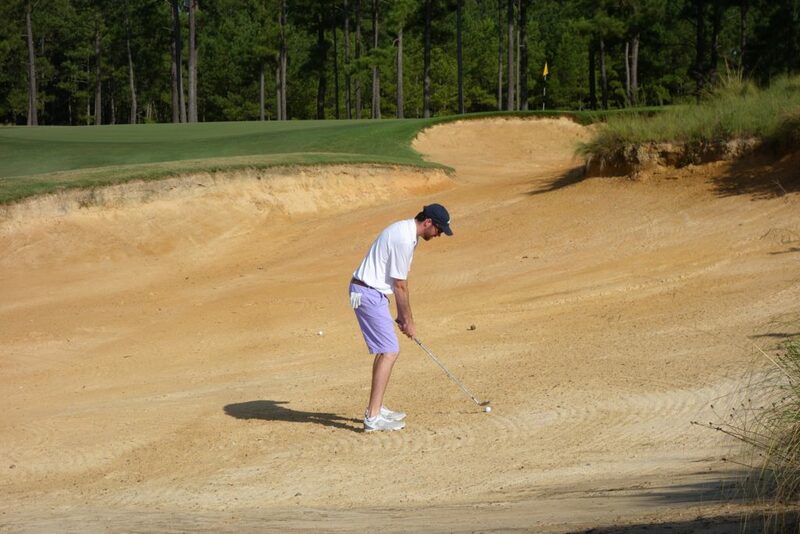 I hit a solid wedge into a bunker I didn’t know was there… Next time I won’t make that mistake! 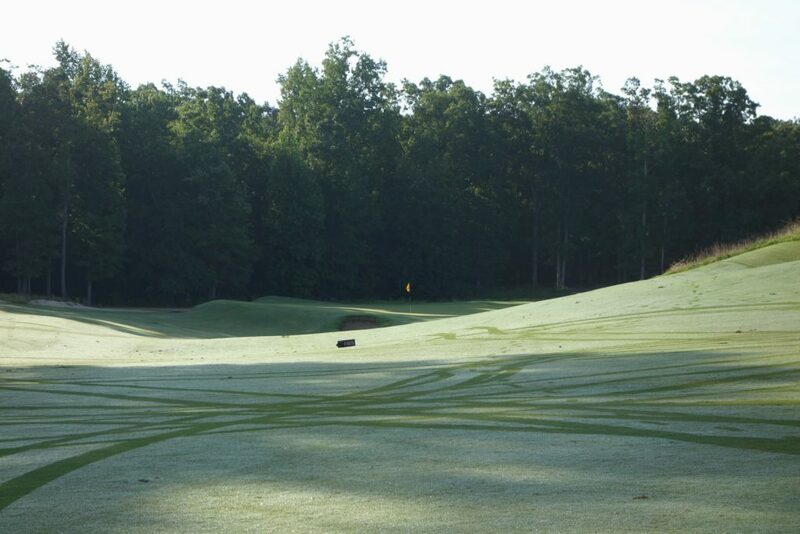 Hole #16 – 321 yards – You can make out an aiming post on the hillside on a straight line from the tee. Aim at that point off the tee with a hybrid and you have a blind uphill approach into the green. A ranger (wearing red in photo below) sits on the left side of the hole to alert groups when the fairway is clear. 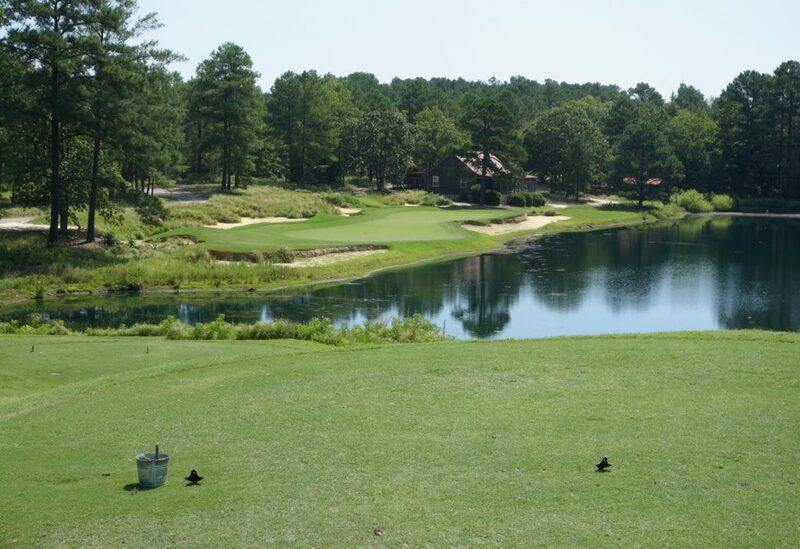 Hole #17 – 134 yards – Many times photos can’t capture the entire scene at a hole. When on this raised tee, you can see the 18th to your right, the 16th green behind you and to the left, and a beautiful wide green below you. It is a great place to soak in the view! Hole #18 – 414 yards – The blind tee shot over the hillside lands in a relatively wide fairway. As with so many other approach shots at Tobacco Road, this green is obscured by bunkered hills on either side of the entrance. It is easy to let the blind holes detract from your first visit to Tobacco Road. 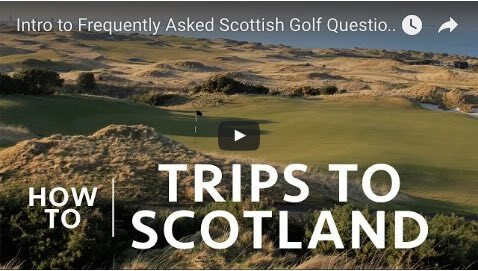 I found myself letting frustration build at various points in the round and, each time I had to remind myself, “How much more will you enjoy this hole next time?” The key was to approach the round at Tobacco Road as you would at some of the classic Scottish links like Prestwick and Cruden Bay. The blindness doesn’t make the course worse; it instead differentiates the course from so many others and adds a huge variety of strategic options. Put another way, I will definitely be back at Tobacco Road sooner than later, and while I enjoyed it immensely this first time, I will enjoy it even more next time and the time after that. I love this course, but I totally agree with you on 13. I have hit so many, what I thought were good shots, that I never found. It is all visual and is really a much easier course than it looks. Once you know the lines it is very gettable. I love The Road and always will. You will like it much more the 2nd time around as you mentioned. Thanks for the comment Jimmy! I’m glad to hear that I’m not off the mark on my “second time will be more enjoyable” remark. I’m going to have a friend stand on 13 green when I hit my approach shot next time! 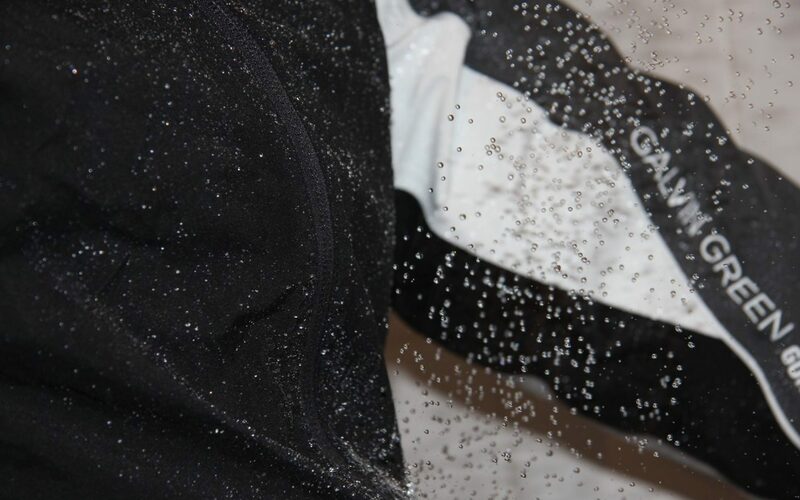 Nice pics and a great review. Tobacco Road is the most fun I’ve had on a US course. You just need to check your traditional expectations at the door and come into it with an open mind. As Jimmy said above, this is one of the most rustically visual courses I’ve ever played. Stranz loves to make it look hard when it’s really very playable. 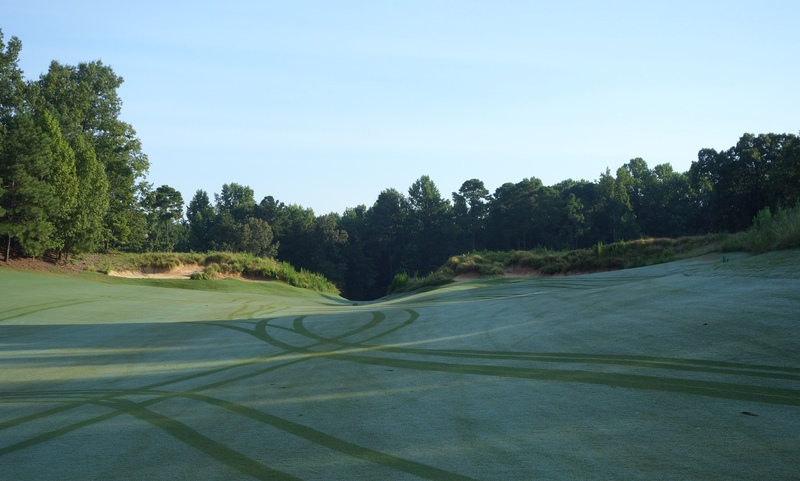 Most of the tight goosenecks, , tee carries, blind shots and nasty hazards have large bailout areas or wide fairways waiting on the other side. It made me feel more like a kid on an adventure than a well-traveled golfer seeing yet another name course. I love your mention of Prestwick, as Tobacco Road brought the quirkiness of Prestwick to mind more than once during the round. 13 was actually one of my favorite holes, which just speaks to the variety of holes and legion of opinions on the course. Nice little grill room too. I totally agree about checking expectations at the door. Also very cool that you also thought about the Prestwick similarities. I loved Prestwick more and more with each visit, and I suspect it will be the same at Tobacco Road, even that 13th! 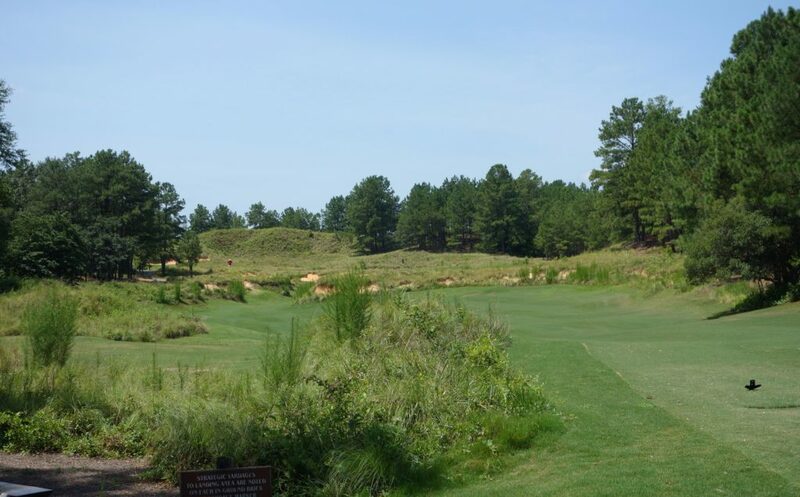 I got to play Tobacco Road back in 2013. After driving for a day and a half from Canada. The blind shots and unique look really got me focused and I loved the course. Have never seen a course like it. Shooting 68 didn’t hurt either. That’s a serious road trip! …and seriously good playing! Looks like a cross between Pine Valley and Cypress Point. What’s not to like? Good review and I hope to play there in the future. Good review Graylyn. Couldn’t agree with you more – my first time out I was wanting to play it again. Not just because of how unique it is, but just because I was ‘aware’ of where I could actually play it off the tee on blind shots. Have you played Mike Strantz’s Tot Hill Farm before? My golfing buddies and I have always juxtaposed those two courses. 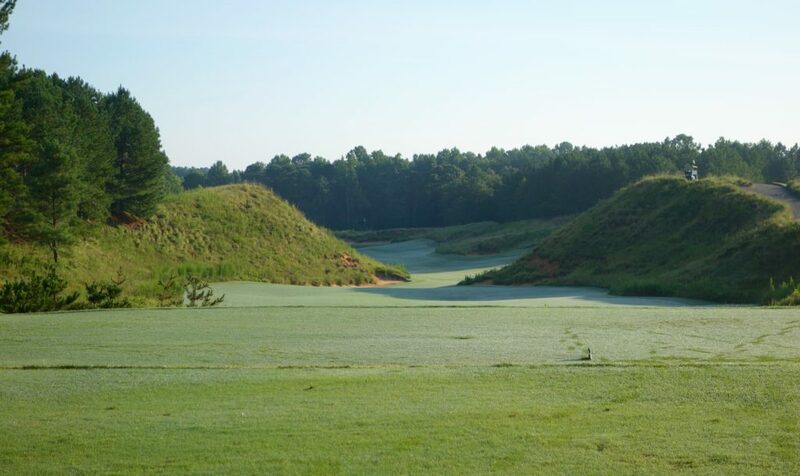 Personally, I think Tot Hill is more difficult tee to green…once you know Tobacco Road, I think it’s quite playable, for the most part. Hi Adam, I’m glad that you agree with my take on the course. Round number 2 will be be a blast, I am sure. I have never played Tot Hill Farm, but it came up multiple times when discussing Tobacco Road with friends. I hope to visit it soon! 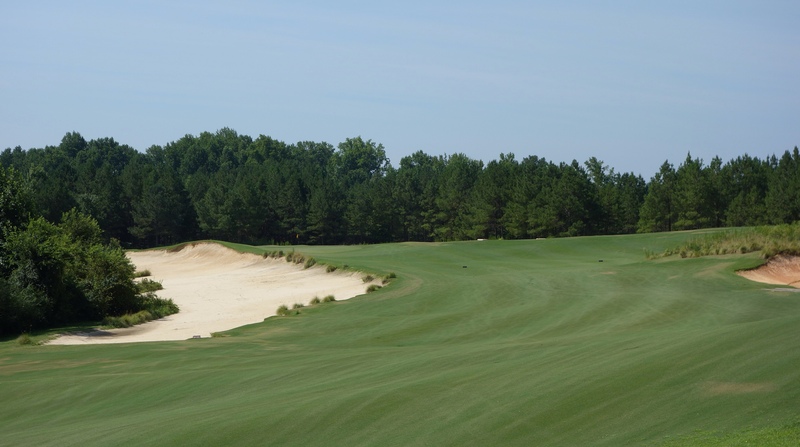 I’ve played TR a few times over the 15 or so years, the last in a Carolina Golf Association tourney last August, and have come to like it despite it’s obvious trickerations. The first nine I played it I was so mad and shot a 54 on the front nine. Once I came to the realization of what it was my second nine dramatically improved. At the end of the day you have to understand that if you don’t hit a perfect or fortunate shot (e.g., the first tee shot through a narrow gap) you’re going to lose a stroke or two. Fortunately last year’s CGA tournament was Stableford scoring so we could pick up once double bogey was reached. We took a road trip to Tot Hill Farm at the end of last season (my last round of 2016). It was also quirky but less so than TR. The most noticeable thing about THF was how mountainous it was even thought it is very close to Asheboro. I enjoyed it but if I had the choice of the two I’d go back to TR. Hi Graylyn, I just played Tobacco Road for the first time. Because I had read quite a bit about it, I knew what to expect. I agree that it is not that difficult for a good player. 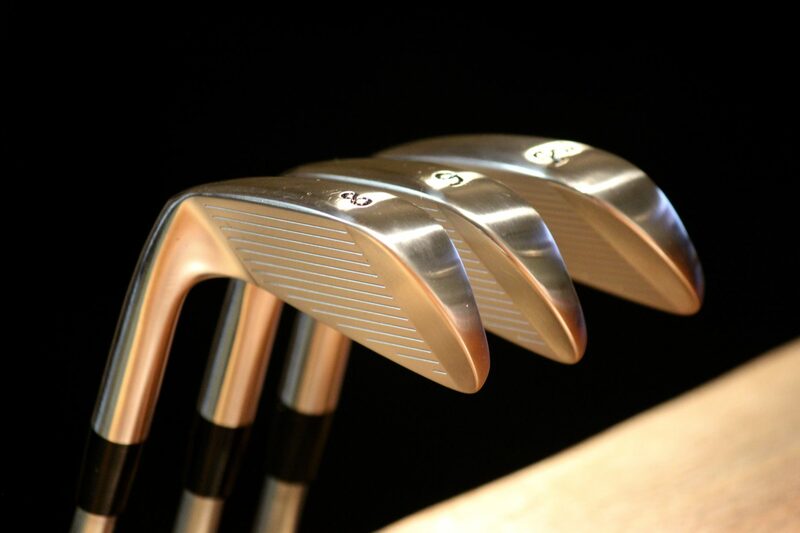 It looks more difficult than it plays…at least for a low handicapper. High handicappers, on the other hand, may find it less enjoyable. 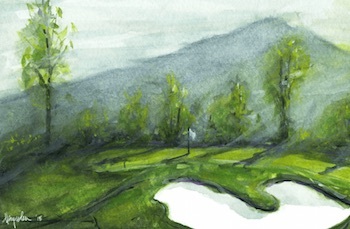 Strantz liked visually intimidating shots, and high handicappers sometimes succumb to that pressure. Having played in a 15-20 mph wind, I have some reservations about the greens. 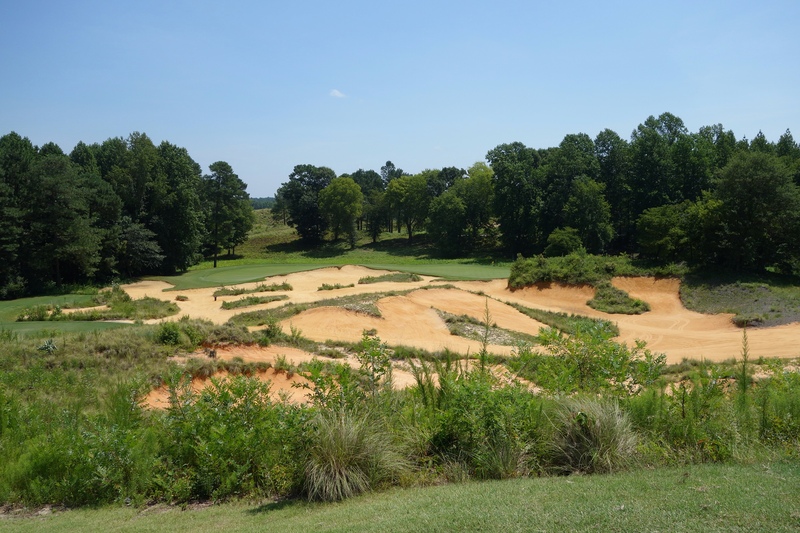 Because of their severity and bunkering, many greens are not receptive to shots held under the wind. Was TR fun? Yes, it was. Would I want to play it everyday under varying conditions and with players of varying skill levels? Not so sure about that. It is like an exotic meal: excellent for a special occasion but not as a steady diet. 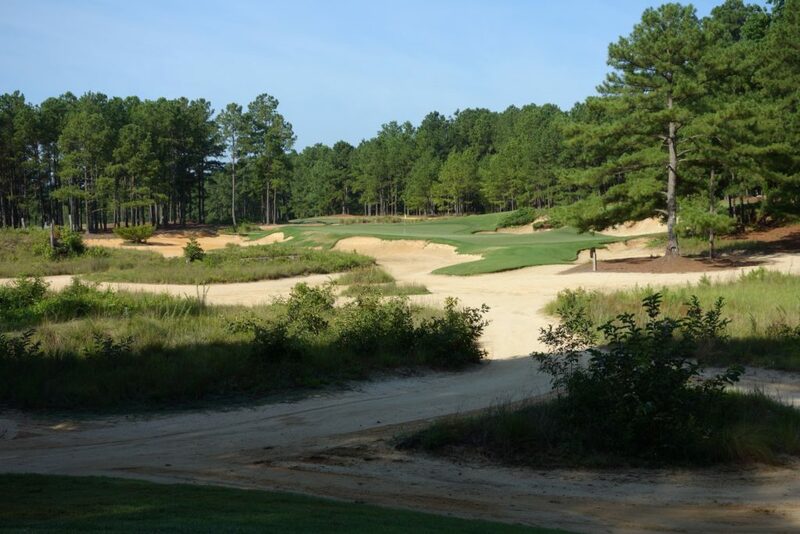 Played the Pinehurst area for the first time last Thanksgiving week. Here, #2, Needles, Mid-Pines and Dormie. After #2, this was my favorite. Played 36 and will be back for more. My only Strantz experience. It’s polarizing because of it’s originality. So much better than cookie cutter architecture that most enjoy. Always something revealed on additional plays. For me-indicates course for a lifetime. 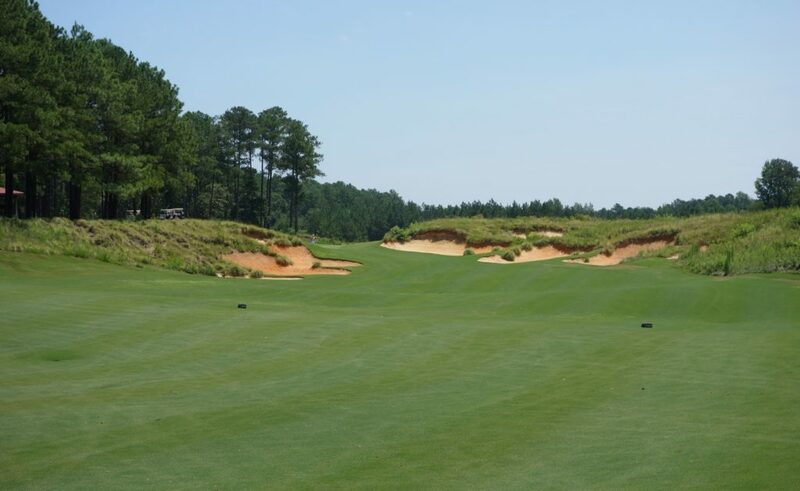 Last April (2018), a good buddy and I drove down from Ancaster, Ontario, (13 hr drive), to the Pinehurst for the 1st time to play a few local courses (Carolina Trace, Talamore, Legacy & Tobacco Road). We are coming back this April to the same area and have arranged to play Tobacco Road again (BTW – we renamed it Tobasco Road…. LOL). We have talked about this course many, many times since playing it last year and agreed that we HAVE to play it again! Although it was a challenge, we agree that we needed to play it again, knowing what to expect and how to play it differently this time. We both are in the camp of “Loved it. Can’t wait to play it again…” There’s no doubt we will feel the same after we play it again soon! Hopefully we’ll feel the same way about the other courses we have on tap (Mid Pines, Dormie, Mid South &Talamore). Thanks for your review Graylyn – wish we read it before we played last year! Incidentally, I printed your reviews of Mid Pines and Dormie and hope it comes in handy! Hi Bob, thank you for another great comment. The fact that you guys drove down gives me even less of an excuse for not having driven up there already! If you think of it, drop another comment here after your second round to see what you think of the course after another look. That second visit is when the course came alive for me!